“Folk music” is an ambiguous term, but at its core it refers to any popular music based on earlier, oral music traditions. That description could easily apply to all of the blues and country music being made in the 1920s, as well as a lot of early ragtime and vaudeville. The following four songs don’t easily fit into any of those buckets, but are all clearly “folk” music in the general sense. 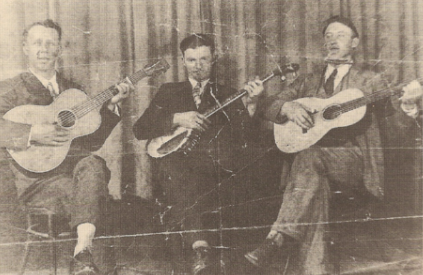 Early folk records like these provide a glimpse of music styles that predate recording technology. However, it is worth noting that these records were not made as faithful reproductions of earlier music forms, but rather as documents of the present. Music is constantly evolving, and while shades of the past remain, what we have here is nothing more nor less than the music of 1928. Harry McClintock makes the most of his limited range and slightly scratchy voice in “The Big Rock Candy Mountains,” his most famous composition. That voice is perfect for relating the humorous, first-person narrative about a hobo’s paradise where “handouts grow on bushes,” “little streams of alcohol come trickling down the rocks,” and “they hung the jerk that invented work.” McClintock describes this fantastic place over a simple guitar melody that becomes more animated as the song progresses, until he finally finishes the song with a happy little whistle. 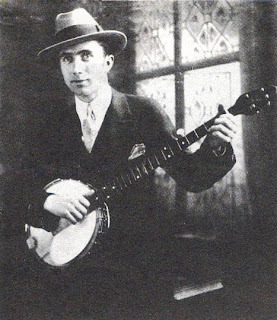 In the folk classic “I Wish I Was a Mole in the Ground,” Bascom Lamar Lunsford sings a series of non-sequiturs with simple banjo accompaniment. Each verse expresses a fully-formed thought that does not follow logically from the previous verse. And in some cases those thoughts are pretty indecipherable: “If I was a lizard in the spring, I’d hear my darling sing / And I wish I was a lizard in the spring.” Throw Lunsford’s wavering, emotive voice into the mix, and it all adds up to a very unusual but rewarding listen. 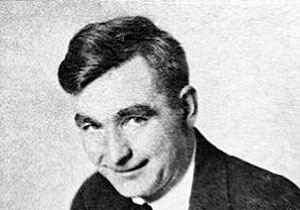 Buell Kazee was a Kentucky preacher who was very well versed in traditional songs. While the songs he sang were firmly rooted in the oral traditions of the past, Kazee used his musical training to transcribe them and update them for contemporary life. He also played them on banjo, a relatively new instrument compared to the songs he was singing, and one for which he had his own unique playing style. “The Butcher’s Boy,” one of his most enduring records, recounts the story of a girl who takes her own life after learning that the boy she loves is seeing another. Kazee’s strong, disciplined voice relates the unhappy tale, supported by his driving banjo. Gospel is a worship-based music that first evolved from the spirituals sung by African American slaves. In early examples of the form like “Since I Laid My Burden Down,” you can hear the soul-felt, rapturous kind of vocals that characterized those early spirituals and gave rise to the wealth of modern gospel music. The Memphis-based group was led by two of the elders of the Church of God in Christ, Lonnie McIntorsh (who also recorded on his own) and Edwards (about whom little is known). On this record they are joined by church members Bessie Johnson and Melinda Taylor. The lyrics are little more than a single phrase repeated over and over, but the quartet sings it with increasing passion and zeal, adding moans, hoots and hollers (“Glory!”) that make the record absolutely compelling.